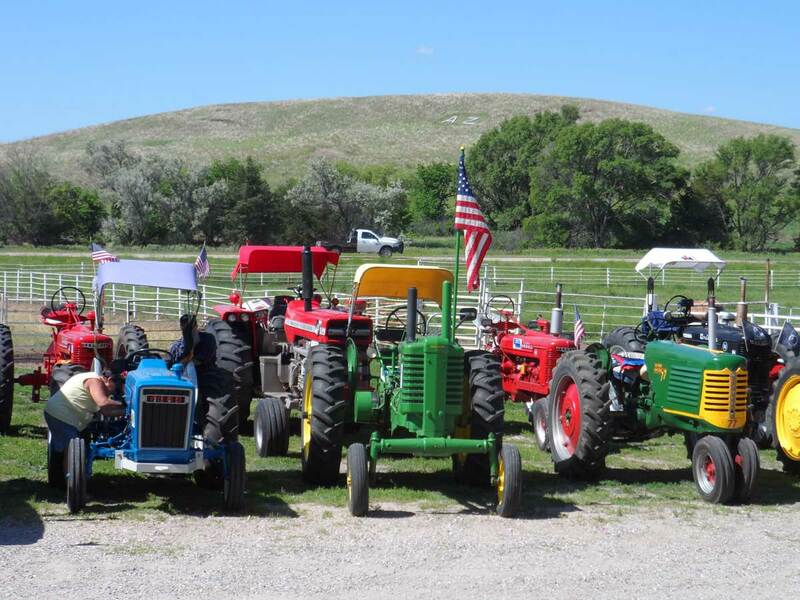 Here are my 3 tractors. One is my Great Uncle’s DC Case I recently purchased and will be restoring. One is a 1929 Case “C” I purchased. The picture is at the church where we had my grandpa’s service. 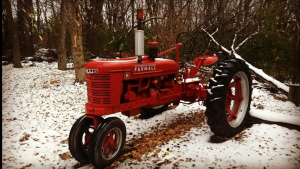 The other is my 1941 Farmall H that my grandpa gave me when I was little. I restored it two years ago for him and is my most prized possession. He was so proud. 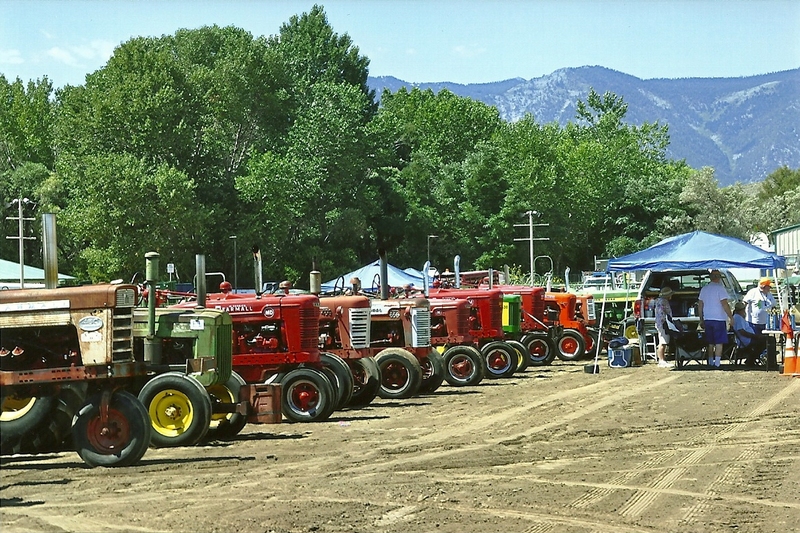 All three are at WMSTR in Rollag, MN every year. The story behind the C is that I bought if for my Grandpa to use. He had cancer and could no longer get up on the H. So I purchased this one so he could manage to use it when he needed. He got to see it the day I bought it. But unfortunately, he never got to use it. He passed shortly after. The reason why we chose to use it at his service is so he could get one ride on it with me. He was the one who taught me how to drive a tractor. So he was able to get a ride on the C I bought for him. I had the job of carrying his urn with me to the cemetery. The H was given to me by my grandpa when I was little. 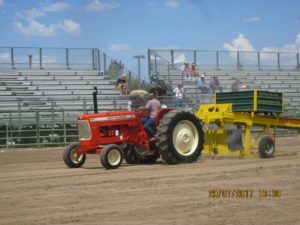 He purchased that tractor when he bought his own farm. 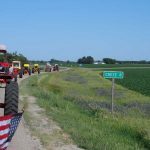 When he purchased it he drove it all the way from Fargo, ND to Hawley, MN, on the highway. 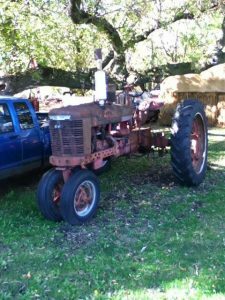 He used to use it for digging, hauling bales, plowing, and many other things. 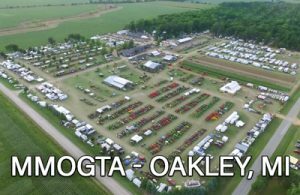 It was kind of the “go to” tractor on the farm. Ever since he gave it to me he had always wanted me to restore it and get it looking nice so it could be at Rollag. The Summer of 2016, I made his dream come true. I restored it at a cousins house (about 10 miles from his house). 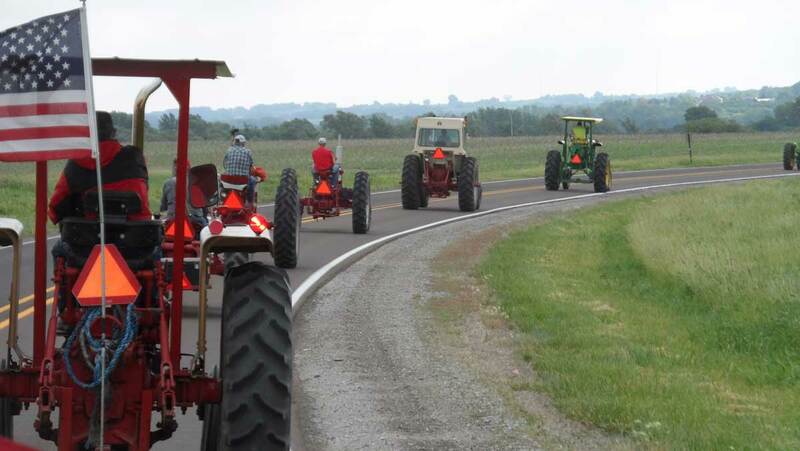 And just like him, I drove it all the way back to his farm, on the highway. We never showed him any pictures during the restoration, so he was shocked when he saw me roll into his driveway. It was a very emotional And meaningful moment for both of us. I could tell he was proud. I am so happy I restored it when I did, because he ended up passing this October. 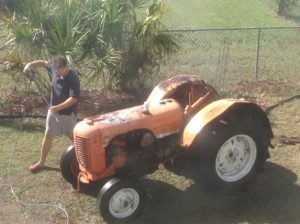 I am so glad he got to see his tractor, finally restored. And he got to see it at WMSTR in Rollag too. I call it “Grandpa’s H”. 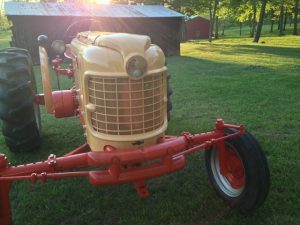 The DC Case is a tractor that belongs to my Great Uncle (my Grandpa’s brother). 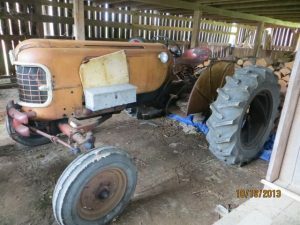 This is a tractor that he bought years ago to use around the farm. He and my Grandpa used it for many of the smaller jobs. 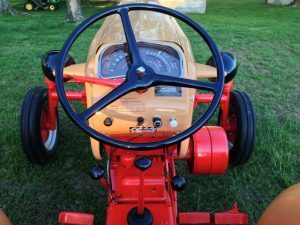 My Grandpa always talked about how nice the tractor ran and how smooth it was. 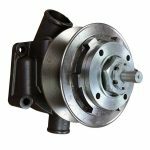 However, he did think the steering system was odd. 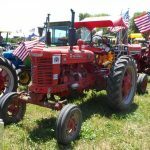 Over the years, my great uncle and my Grandpa worked on this tractor and made their own repairs to it. About four years ago, my great uncle told my Grandpa to ask if I would be interested in buying it. My Grandpa brought it up, and told me that he thinks I would really like it. So I went and looked at it with both of them. I took many pictures and really wanted to buy it. I told him I needed to save up some money first. 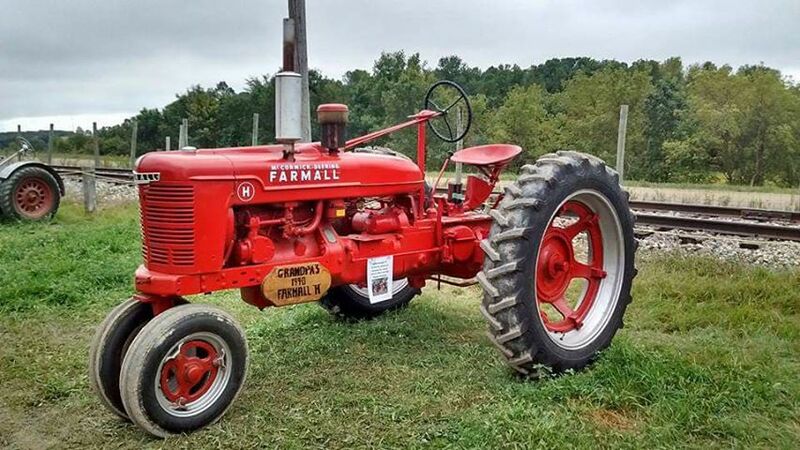 When my great uncle saw how the Farmall H turned out, he really wanted me to get this one. So this November, I asked if he was still interested in selling it to me, and he said yes. I know both him and my Grandpa wanted me to have it, so I felt like it was the perfect thing to do. So, my great uncle sold it to me for $300. I have been gathering parts lately and I plan on getting started on it this Spring. Hoping to have it at Rollag! 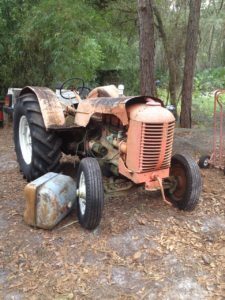 This tractor means a lot to me because it has the repairs that him and my Grandpa did on it, as well as it was the tractor they used around the farm for many years. Now I have a tractor from both my Grandpa and his brother. 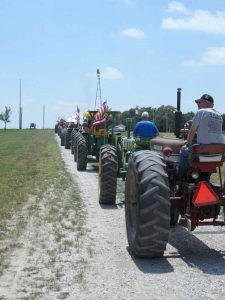 Tractors connected us three so much, and for that I am forever grateful. I live my life wanting to make my Grandpa proud, and I know buying that tractor would make him ecstatic. 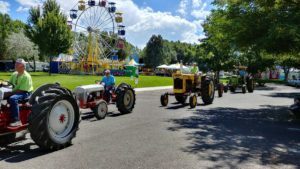 Tractors are truly something that connects us and many others. It’s just awesome. 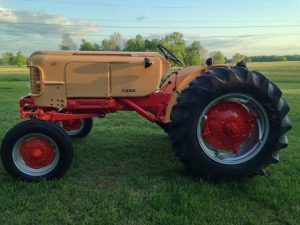 My name is Dave and the tractor story I have is about a 1944 Case model DO. What started all this was my father and I were sitting down at my parents house in Florida. They bought a house there over seven years ago and moved there full time. Now back at our old family house hold around Christmas time we would pick a piece of equipment or a machine and decorate it with lights for the holidays. The last time we all as a family did that was in 2007. 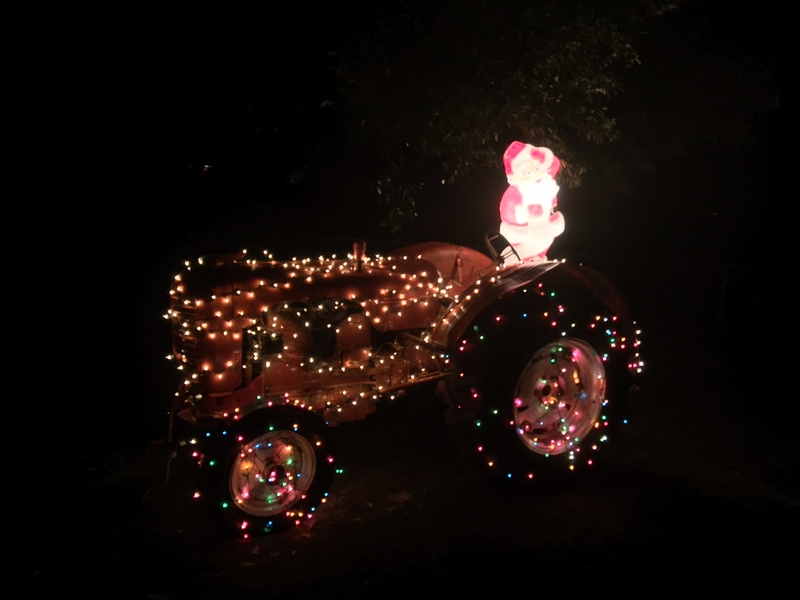 So two years ago around November early December my father and I were talking about how fun it was putting the lights up and how we both enjoy our tractors and machines. 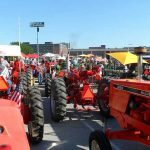 The last tractor we did was our 1941 Farmall H and it looked good so we thought and talked about how can we do this in a subdivision in Florida?? Well after some time trying to figure out how to get a tractor home, we found one that worked perfectly! 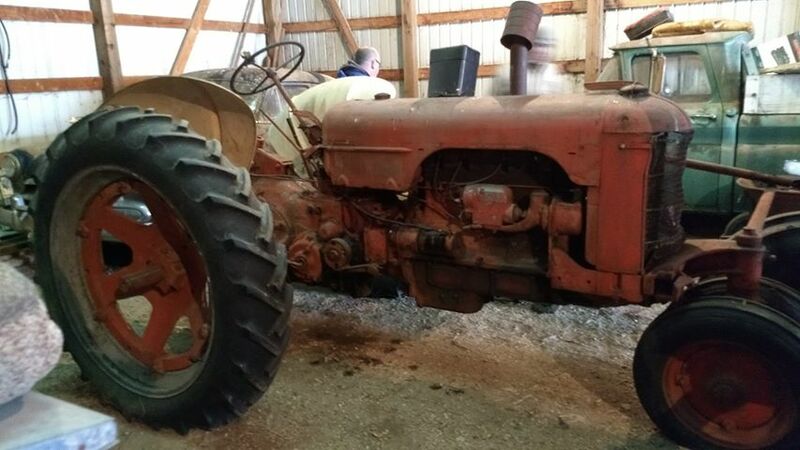 Here’s the Paul Harvey story lol, I was on the internet and found an ad for our Case tractor that the man we bought it from couldn’t keep anymore. So naturally we inquired about it and found it in Tampa Florida about a 30 minute drive from our house. Now when we got the directions where to meet the guy we were surprised to find out it was a Bird Sanctuary. Mr Zaksee was his name and birds were his game. This place was just amazing for what it was and sure enough there was the little Case sitting by a tree. After awhile of chatting and some laughs we made a deal and the very next day got a trailer and picked her up and brought her home. And boy what a feeling it is bringing a new toy home. The main reason we purchased the Case was for a Christmas ornament for our home. And to find a vintage tractor in a bird scantuary is neato. We fell in love with it because it needed to be saved from where it was. We brought it home and cleaned her up. Even put a quick coat of Case orange to protect it a little. When Christmas came around that Case looked great in our subdivision. November’s featured photo was submitted by Danielle Jeardoe of Glen Elder, Kansas. “Like father, like son – the work must be done. This is my son Colton driving his New Holland pedal tractor, pulling a homemade swather made by his dad, Kip. Kip was finishing the nightly feeding of our cows with our Case International 7130 Magnum tractor.” Danielle’s photo will be featured in our 2018 catalog. 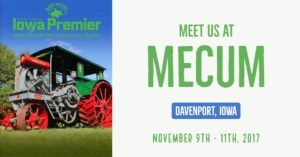 Our 2018 catalogs will print soon and ship in November. 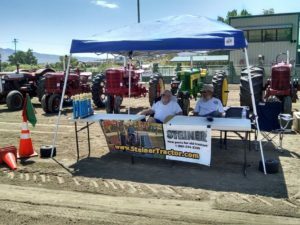 “I recently moved to a location with 20 acres. I was in need of a tractor. 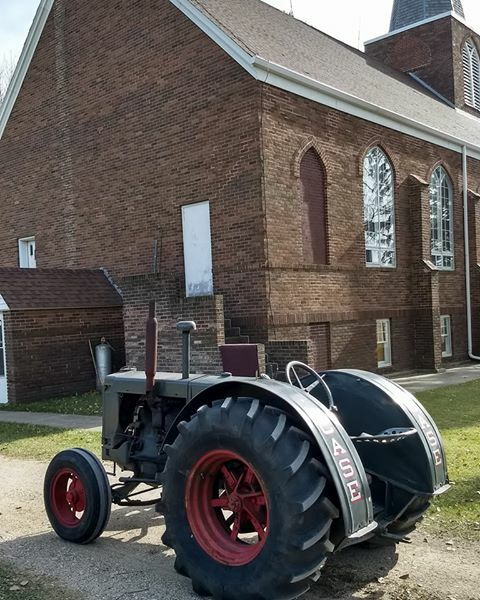 After meeting new neighbors and friends, I mentioned that I needed a tractor. 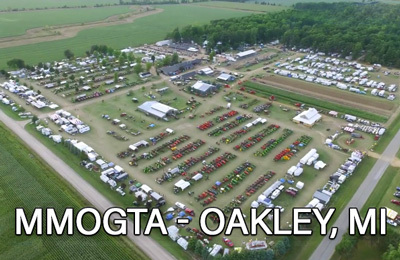 One of my new friends said he would sell me his tractor and gave me his address where I went to see it. This picture says it all. The shed was probably being held up by the wisteria growing through every window, wall, and door. Peeking out the front was this amazing find. 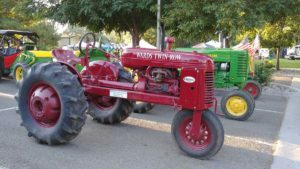 A 1959 Case, model 210B. The owner drove it in the shed 6 years prior and had not touched it since. I put it on a trailer and took it home. I put a carburetor kit in it, the 6-volt (positive ground) generator was rebuilt, and a new battery was installed. It started up and continues to run better each day. 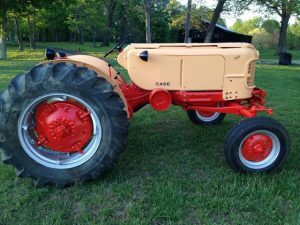 My Case 300 series 311 was purchased by my grandfather in 1957. 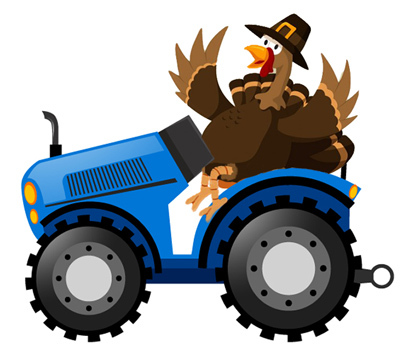 It was used on his farm for everything from tobacco, corn, hay, logging, and everything in between. It was a real work horse. 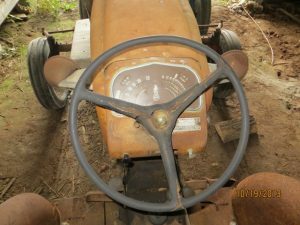 I actually learned to drive on this tractor and when my grandfather passed away, it was given to my Dad. 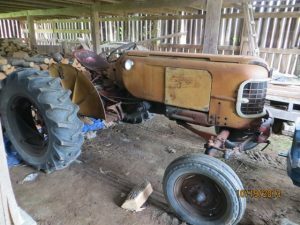 My Dad continued to use it, but it was getting to look a little “old.” I asked Dad if he would let me have the tractor to restore. He agreed and I had it restored a few years ago. My Dad was amazed and said it looked just like he remembered when my grandfather brought it to the farm. 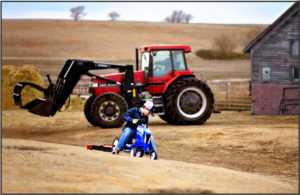 My plans are to keep this tractor and one day pass it on to my son so it can continue to be enjoyed.